The Ferret WiFi – Inspection Tool – Rack-A-Tiers Mfg. 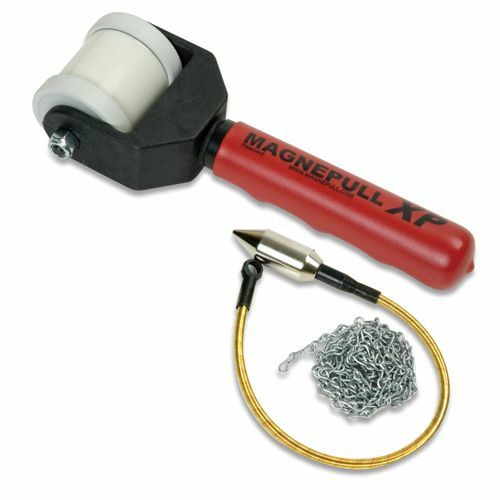 If your job requires you to fish wire, this is the best tool investment you will ever make. Regardless of your industry, chances are you’ve needed to get eyes on something where your head wouldn’t fit. 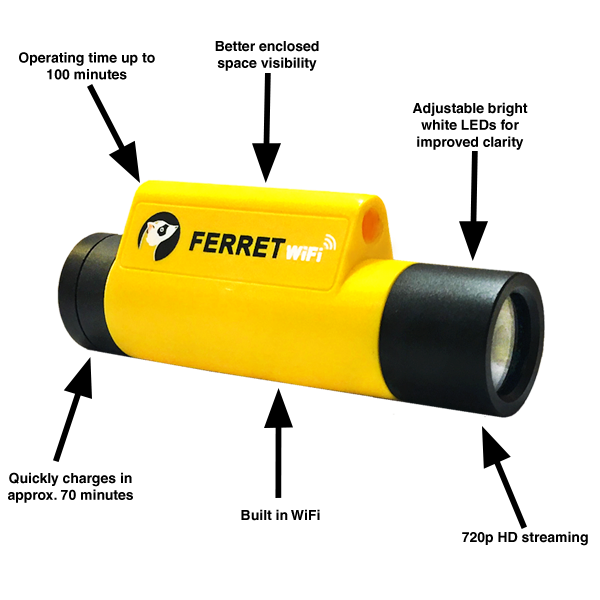 The Ferret is small enough to drop in your pocket or tool pouch, and lets you quickly get eyes where you need them most. Imagine checking connections behind a piece of equipment or looking above a ceiling. 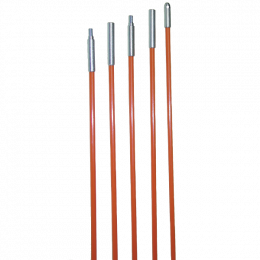 The included hook and magnet attachments are perfect for wire fishing. With the hook you can navigate right to the wire you want and pull it out. Being able to get eyes inside the wall you are fishing is a game changer. 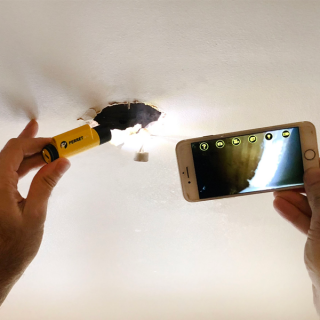 With the Ferret being WiFi enabled, you are not tethered to grip like inspection cameras. The Ferret comes equipped with adapters so you can connect virtually to any cable fish rod.